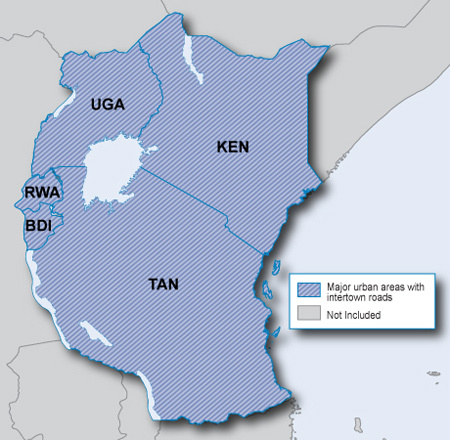 Includes more than 127,300 mi (205,000 km) of roads, including motorways, national and regional thoroughfares and local roads, in Eastern Africa. Displays more than 54,600 points of interest throughout the continent, including restaurants, lodging, petrol/gasoline stations, attractions and railways. Provides navigational features, such as turn restrictions and speed categories. The map viewer may show a different version than the product you receive.